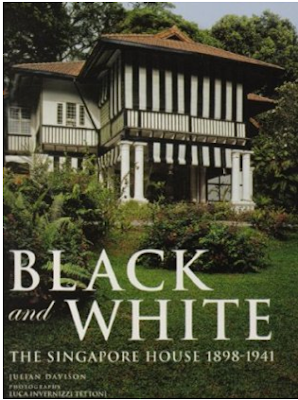 Yesterday was my birthday, and one of my presents was this awesome book about Black and White houses in Singapore! I’m so excited about it, I have to share! My sweet Dad carried it all the way from Singapore and literally around the world through Europe while he was away on a work trip a few weeks ago. 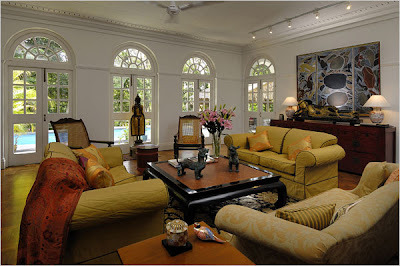 Black and White homes of Singapore’s colonial era are iconic in their approach to tropical design and architecture. 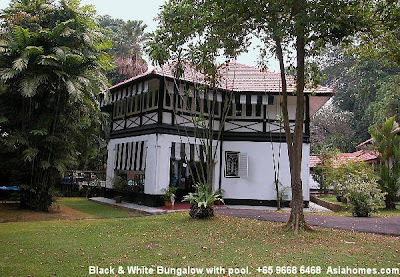 These ‘Asian vernaculars’ were mostly built around the turn of the century and have a sort of mock Tudor style architecture. 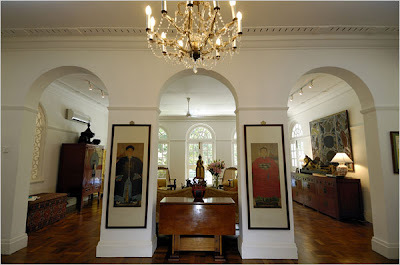 The majority of the homes were built over a 25 year period mostly between 1910-1920 for English government officials, Singapore’s colonial administration of that time. 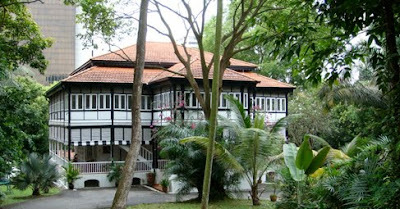 You might remember about 18 months ago when we were traveling through Singapore, I visited a friend in her black and white, and it’s pictured here. 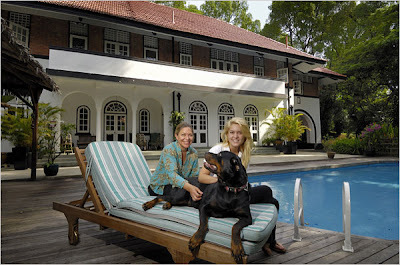 I hope you enjoyed my little history lesson, I think these are the most gorgeous homes! 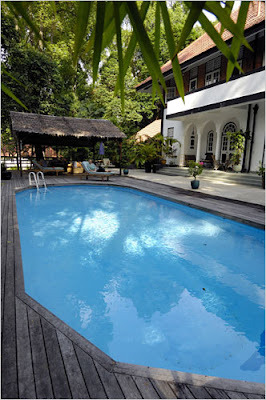 I love this architecture style and how well suited it is for a tropical climate.